The Commonwealth War Graves Commission records the deaths of over 31,000 men still on active service with the British and Commonwealth forces between the Armistice on 11 November 1918 and the signing of the Peace Treaty on 28 June 1919. In addition to those who were to die from wounds previously received in battle, the majority of the other post-war casualties were the result of diseases and illness contracted either in the trenches or shortly afterwards, with the Spanish flu pandemic being a significant cause of death. Among the local men who died after the cessation of hostilities was a young farmer from Comp named William Thomas Pierce. William had entered the war during its final months and survived the Battle of the Sambre in November 1918, which is famous for claiming the life of the war poet Wilfred Owen and is likely to have been infected by a trench-born disease during his time at the front that would prove fatal several months later. William was the elder son of William and Mary Pierce (née Woodger) who came to live in Comp from Wateringbury during 1890 and took up residence at Little Comp Farm (now known as Orchard Place Farm.) Unlike his father, who had farmed hops, William Snr cultivated produce that was sent to Covent Garden by train from Borough Green and employed local people from all over the parish and its immediate neighbours. William Jnr was born in Comp in 1893, and by 1901 he had been joined by a brother named Frederick, and two sisters called Mabel and Evelyn. William and Frederick both attended Platt School, but after two years they transferred to Mereworth, which was a five-mile round-trip by foot from the farm. Eventually, William Snr bought his sons bicycles for the journey that were later described as being ‘ancient’ with ineffective brakes. On one occasion the cycles almost caused the demise of the two brothers, when, while cycling down Beech Hill, they encountered two horses and carts crossing before them at Barons Place Farm. Hurtling towards the obstruction, and with no means to stop, the boys narrowly missed the back of one cart and tore through the gap just in front of the nose of the following horse. In 1903 the Pierce family were dealt a bitter blow when Mary died aged 40. William was heartbroken, however, five years later he remarried to Alice Perkins, who was a schoolmistress at Platt, and in 1911 the family moved to Highlands Farm. According to the census taken that year, William Jnr was employed as a butcher, but at the time war broke out in 1914 he had been working on the farm. 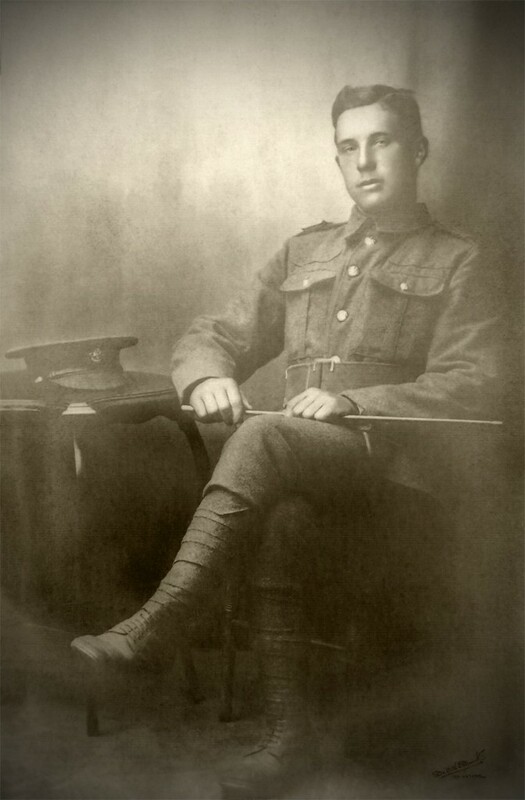 In late 1915 William’s brother Frederick enlisted in the Army and was posted overseas the following year in time for the start of the Somme campaign. William remained at home and continued to work for his father until being called up for compulsory military service in March 1916. It is not known when he was mobilised for active duty; however, based on the service papers of men with regimental numbers preceding and after William’s, it seems likely he joined the 3rd (Reserve) Battalion, Royal Sussex Regiment on or before 25 June 1918. At the time the battalion was garrisoned in Newhaven, and William would have been among a cadre of men posted to France in September/October 1918, and taken on strength of the 2nd Royal Sussex Regiment. On 4 November the battalion was tasked with forcing the passage of the Sambre – Oise Canal at Lock No.1, which was about one and a half miles south of Catillon. Before dawn on the morning of the attack, William’s unit gathered in their assembly positions about 250 to 400 yards from the lock, with zero hour planned for 5:45 am. Shortly after the pre-attack artillery barrage lifted, the battalion advanced with the assistance of the 409th Field Coy, Royal Engineers, who had supplied bridges to cross a small stream in front of the canal, and then larger bridges over the lock itself. During the early stages of the attack, several shells fell among the engineers, and men from William’s unit (and even perhaps William) were called upon to assist with the bridging parties over the stream. Despite enduring another enemy artillery barrage, and sustaining more casualties, a crossing was eventually forged which allowed the battalion to form up along the canal bank and engage the enemy on the other side. Conditions had deteriorated with dense fog, and smoke from the barrage obscuring the scene, however before long passage over the lock was established, and the Royal Sussex pushed across the canal. The battalion War Diary records that by this point resistance had largely faded away, and by the time the fog had lifted it became evident that there were no remaining Germans immediately in front of the British position. By early evening it was apparent that the enemy had withdrawn altogether, and the battalion was able to take stock and count their casualties, which numbered over 100 men from all ranks. In addition to securing the canal and gaining ground beyond, the battalion also captured 200 German prisoners, two field guns and about 50 machine guns. On the march, the civilian inhabitants of villages through which the Battalion passed were most demonstrative in their welcome and were unanimous in their hatred of the Boche. At Chastres a procession of maidens and youths bearing banners, headed by the Curé and accompanied by a Concertina, presented a bouquet of flowers to the Commanding Officer and marched in at the head of the Battalion. A similar reception was made at the Château Hanzinnelle where the Commanding Officer was greeted by a deputation of villagers, headed by the Maire and the Curé; and bouquets were presented to the Commanding Officer and Adjutant. Along the first stages of the advance were many signs of a hasty evacuation by the enemy. Overturned lorries which had been burned out and dumps of ammunition by the wayside showed that his retirement was so rapid that he was unable to take away all his store. In some cases the billets occupied by us had only been vacated by the enemy for 3 days. All the inhabitants of the villages passed through spoke of the harsh way in which they had been treated by the enemy for the past 4 years, and for the previous 2 years some of them had seen no meat, and had been living on very short rations. All along the roads numbers of returning prisoners of war and civilian evacuees were met. The former were chiefly Italian and French, but there was a small sprinkling of British. Most of these prisoners were robust and healthy looking but there were a fair few who looked as if they had undergone great hardships. Their clothing was a queer mixture of English, French and German uniforms, and civilian garments. As the Battalion marched nearer the German Frontier the nature of the towns and villages and of the inhabitants changed. The enthusiastic welcome with which the advancing Army had at first been received gave up place in some cases to sullen looks and refusals to give up billets. A certain underlying pro-German sentiment was apparent and the villages on the whole became dirtier as the march progressed. On the 17th the 2nd Brigade crossed the frontier, and for the first time in the war billeted on German soil. Strict instructions had been issued to the German civilians as to their behaviour, and the respect to be paid to the British Officers and men, and on the whole were well complied with. In some cases the civilians were most hospitable and did all in their power to make the men comfortable. No hostile feeling was encountered by the Battalion, although cases of theft and destruction of property were heard of. To maintain order and enforce compliance with regulations by the German civilians, extra guards and picquets were posted at night, but no trouble of any description was experienced. William would have spent Christmas with his unit near Bonn at Witterschlick and is likely to have been sent from there back to the UK in early 1919. He had been suffering from nephritis (inflamed kidneys) – a common affliction among men serving in the trenches, which in William’s case had developed into an acute form of the disease. He was admitted to Oldmill Military Hospital in Aberdeenshire but died shortly after midnight on 4 March. William Snr brought his son’s body back to Kent, and he was buried in Leybourne Churchyard as at that time Comp was part of the Ecclesiastical Parish of Leybourne. In 1923 William’s life was commemorated on the Roll of Honour in St. Mary’s Church in Platt and his name was added to a new plaque on the Platt War Memorial in 2016.